Dr. Arslan has received his BS degree from Middle East Technical University (METU), Ankara, Turkey in 1992; MS and Ph.D. degrees in 1994 and 1998 from Southern Methodist University (SMU), Dallas, Tx, USA. From January 1998 to August 2002, he was with the research group of Ericsson Inc., NC, USA, where he was involved with several projects related to 2G and 3G wireless communication systems. Between August 2002 and December 2013, he was with the Electrical Engineering Dept. of University of South Florida, Tampa, FL, USA. 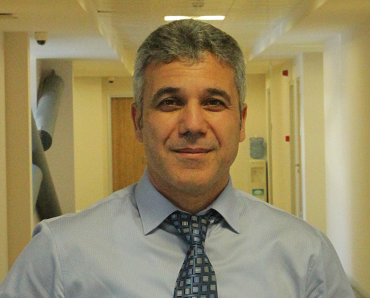 Since December 2013, he has been with the Istanbul Medipol University. In addition, he has worked as part-time consultant for various companies and institutions including Anritsu Company, Savronik Inc., and The Scientific and Technological Research Council of Turkey. Dr. Arslan’s research interests are related to advanced signal processing techniques at the physical and medium access layers, with cross-layer design for networking adaptivity and Quality of Service (QoS) control. He is interested in many forms of wireless technologies including cellular radio, wireless PAN/LAN/MANs, fixed wireless access, aeronautical networks, underwater networks, in-vivo networks, and wireless sensors networks. The current research interests are on physical layer security, signal intelligence, cognitive radio, small cells, powerline communications, smart grid, UWB, multi-carrier wireless technologies, dynamic spectrum access, co-existence issues on heterogeneous networks, aeronautical (High Altitude Platform) communications, in-vivo channel modeling and system design, and underwater acoustic communications. He has served as technical program committee chair, technical program committee member, session and symposium organizer, and workshop chair in several IEEE conferences. He is currently a member of the editorial board for “IEEE Transactions on Communications’’, “Physical Communication Journal” by Elsevier”, and “IEEE Communications Surveys and Tutorials. He has also served eight years as a member of the editorial board for “Wireless Communication and Mobile Computing Journal” by Wiley. 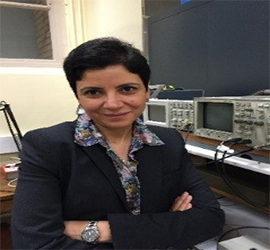 Dr. Najla Fourati obtained her PhD in Materials Science at the Conservatoire National des Arts et Métiers (Cnam-Paris) in 1999. She joined the Cnam Laboratory of Physics in Paris in 2002 and the SATIE Laboratory in 2014. She is Assistant Professor at Cnam Paris from 2008. Her research concerns the development and realization of surface acoustic wave (SAW) and electrochemical sensors for chemical and biological applications. Most of her current work is devoted to the design of ionic and molecular imprinted polymers-based sensors. The detected analytes are as varied as proteins, pesticides, heavy metal ions …She uses AFM to monitor changes in materials surfaces during the functionalization steps. MIP/IIP based electrochemical sensors: great advantages and real limitations The molecular/ionic imprinting technique, which consists in introducing selective recognition sites in a polymeric matrix, is probably one of the most viable and promising bio-mimetic approaches for detecting chem-bio-molecules. The rationale for using imprinted polymers is that they are easy to prepare, stable, versatile and can be used even in extreme environments, such as highly charged media. Among the several types of transduction techniques, used in synergy with molecular or ionic imprinted polymers (MIP or III), electrochemistry is probably the most investigated one, as it offers a large panel of advantageous mainly the ease of use and low cost. Despite the robustness of MIP/IIP based electrochemical sensors, they have some serious drawbacks, principally related to the reproducibility during the realization and the sensing processes. The key to success is an optimization that considers all the involved parameters, and that's the purpose of this talk. 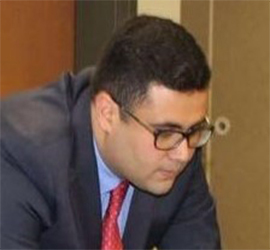 Amr Obeidat is an assistant professor of electrical engineering at the Hashemite University (HU), Jordan, where he teaches courses in the areas of circuits and renewable energy systems. Prior to joining HU, he was a research assistant at the Center for Autonomous Solar Power (CASP) of Binghamton University. Dr. Obeidat received his Ph.D. and M.S. degrees in electrical engineering from the State University of New York at Binghamton (BU), and the University of Texas at El Paso (UTEP), respectively. He received his B.S. degree in electrical and computer engineering from HU. His primary research interests include renewable energy, electrochemical supercapacitor materials and devices, and photovoltaic energy conversion. And he is the reviewer of the International Journal of Renewable Energy (IJRER). In 2016, his Ph.D. dissertation was recognized as the "Best Dissertation of the Year" for excellence in energy at the Abu Dhabi International Petroleum Exhibition & Conference. The Electrochemical Performance of Solid-state Supercapacitors and Their Role in Storage of Solar Electricity Supercapacitors are electrochemical energy storage devices that are designed to bridge the gap between batteries and conventional capacitors. Supercapacitors have recently emerged as promising systems to store electrical energy, especially notable is their application in direct storage of solar electricity. While many researchers have reported on the design and fabrication of supercapacitors using conventional aqueous electrolytes, this talk will focus on the solid-state design of supercapacitors with ionic liquid gel polymer electrolyte to achieve thin, flexible, and light-weight energy storage platform. 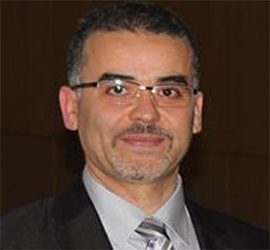 Mohamed Djemaï IEEE Senior member, is currently full professor at University Polytechnic Hauts-de France, Valenciennes, France since 2008 and a member of LAMIH Laboratory (CNRS - UMR) Prior to that, Professor Djemaï obtained his B.Sc. in electrical engineering from ENP-Alger, Algeria in 1991, his M.Sc. (DEA) and PhD in Control and Signal System from University of Paris-Sud, France in 1992, and January 1996 respectively. He joined ENSEA in September 2000 as associate professor and he was deputy director of ECS-Laboratory. He is member of 2 IFAC TC-2.1 control system, and TC-1.3 on Discrete Event and Hybrid Systems, and 2 IEEE TC on hybrid systems and TC on VSS & SMC. Prof. Djemaï was visiting professor at Norhumbria university (2010-2013). His research interests are mainly related to nonlinear control systems, observation, and fault detection theory including hybrid system, variable structure systems and time scale systems, with applications to power systems, robotic and vehicles. He published more than 72 journals and 150 Conf. papers in his area of research. He was the co-editor of IFAC’CHAOS’06 Conference, and co-editor of Special issue on time-scale systems in Nonlinear Analysis Hybrid Systems, co-author 03 books. Prof. Djemaï organized 4 International Conferences : EFEEA in 2012, in Newcastle and in 2014 in Paris, and he was a Co-General chair of IEEE-ISCS’2013, and CEIT’2015. Observation & Control of Hybrid Dynamical systems. Dynamical Hybrid Systems (DHS) are systems involving both continuous and discrete dynamics. Switching systems are a particular class of DHS. They consist of a finite number of continuous-time subsystems and a discrete rule that dictates switching between these subsystems. They are found in various fields such as in manufacturing, power, automotive and chemical process industries. In the last two decades, many works have been made with regard to the analysis and control and observation of such systems. The main objective of this talk is to present an overview of some recent results on observation and control of HDS. In particular, results of observability where the subsystems are no longer required to be observable and where no complex computation are required. In the second part of the presentation, some recent developments in hybrid system with time scale approach will be presented. The time scale approach leads to a new understanding and analyzing of dynamical systems on any non-uniform time domains. Some example will be given to illustrate our purpose. Prof. Ahmed Masmoudi received the B.S. degree from the National Engineering School of Sfax (ENIS), Tunisia, in 1984, the PhD. degree from Pierre and Marie Curie University, Paris, France, in 1994, and the Habilitation degree from ENIS, in 2001, all in electrical engineering. In August 1984, he joined Shlumberger as a Field Engineer. Since April 1988, he has been with the Tunisian University where he has been involved in both education and research activities. He is currently a professor of electric power engineering at ENIS, the head of the Research Laboratory on Renewable Energies and Electric Vehicles (RELEV), and the coordinator of the master on Sustainable Mobility Actuators: Research and Technology (SMART). He published up to 85 journal papers, 20 among which in the IEEE transactions, and 4 books. He is the co-inventor of a US-patent. He presented 11 keynote speeches and 300 papers in international conferences, 5of which have been rewarded by the best paper prize. He is the chairman of the Program and Publication Committees of the International Conference on Ecological Vehicles and Renewable Energies, organized in Monaco every year since 2006. 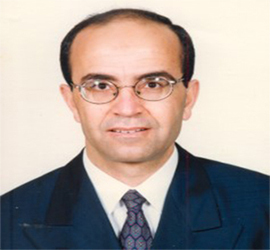 Prof. Masmoudi is a senior member, IEEE. His main research interests cover the design of new topologies of ac machines allied to the implementation of advanced and efficient control strategies in drives and generators applied to automotive and renewable energy systems. Sustainable Mobility: State of the Art Until the 1960s, automotive manufacturers did not worry about the cost of fuel. They had never heard of air pollution and they never thought about the life cycle. Ease of operation with reduced maintenance costs meant everything back then. In recent years, clean air policies are driving the market to embrace new propulsion systems in an attempt to substitute or efficiently- assist the internal combustion engine (ICE) by an electric drive unit, yielding the so-called electric and hybrid propulsion systems, respectively. Beyond road vehicles, rail, air, and marine ones are currently the subject of intensive ecological design policies. Of particular interest is the `more electric aircraft’ (MEA) trend which has led to real-life concepts suitably- implemented in most if not all airliners. Within this universal trend, the present work puts light on the state of the art regarding the sustainable mobility actuators, systems, strategies, and allied aspects.